People Matters Total Rewards & Wellness Conclave is the largest Confluence of Rewards, Wellness & Culture leaders in the country. 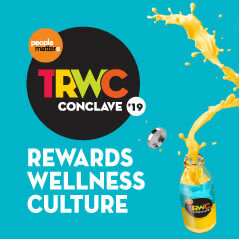 After having delivered the mega event for 4 years, People Matters Total Rewards & Wellness Conclave 2019 is once again raising the bar for the community by bringing in 600+ leaders and functional heads managing the rewards, benefits, culture, employee engagement, and experience portfolios and biggest service providers in the space, on one platform. Join us as they share their best practices, ideas, and products in the market and also devise strategies for engaging, motivating and retaining talent by benchmarking their reward programs, compensation & benefits strategy, and employee value proposition.